This entry was posted in Apple, iOS, Smartphones, So Stupid It Hurts, Video. Bookmark the permalink. 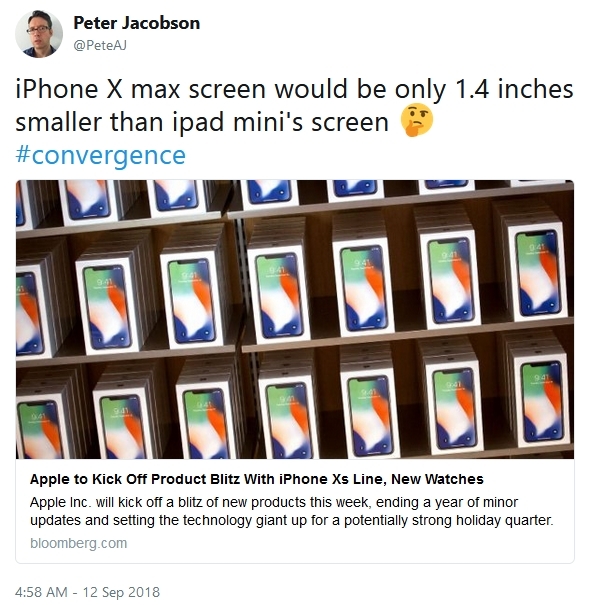 5 Responses to iPhone Xs Max Is No Damn iPad Mini! But you gotta admit, it’s getting close! $1249 256 GB…hahahahaha…….no way is a f..Phone…. We should have 1TB iPads by now. At US$499!